Barry’s expression of faith continues in his latest album. Click here to listen to clips from the album. 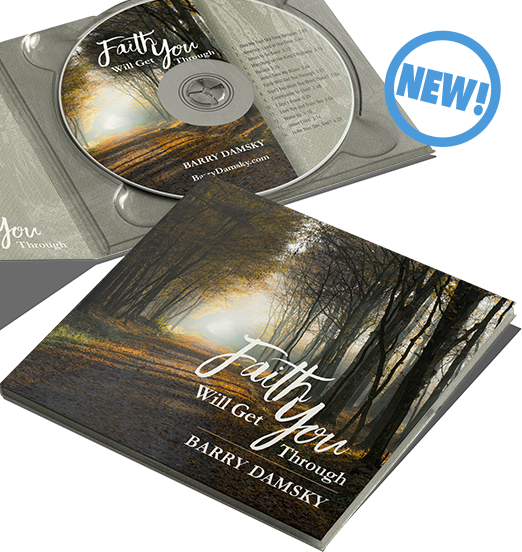 The debut book by Barry Damsky. Barry Damsky writes fun-to-read vignettes, from his days as a theatrical agent in New York and Los Angeles to the quiet delight of living in small town America. He shares, among other things, his unique perspective of meeting major figures (such as Linda Eastman McCartney, Arthur Miller, Sonny & Cher, Johnny Carson, Paul Anka, Dustin Hoffman), his experience as a contestant on the “The Dating Game,” and running with the bulls in Pamplona. Stories of “real life” abound – the dedication it takes to pursue a dream, learning how to deal with disappointment, and what it’s like to be a father and husband. 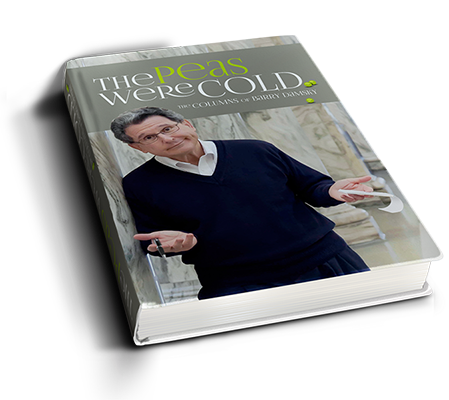 “The Peas Were Cold” will make you laugh and cry. Barry’s stories have a common thread with anyone who wants to live life fully and is open to the creative and adventuresome spirit. Barry’s engaging personality and writing style will leave you with an appreciation for a life well-lived, with the best yet to come. 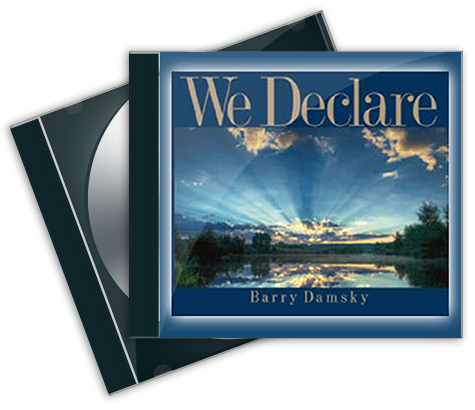 Singer-songwriter Barry Damsky ushers in an exhilarating new sound full of energy and conviction with his gospel debut CD, “We Declare.” His life journey, which took him through the depths of despair to the bright light of hope, is expressed in “We Declare,” an unforgettable fusion of contemporary and traditional gospel.